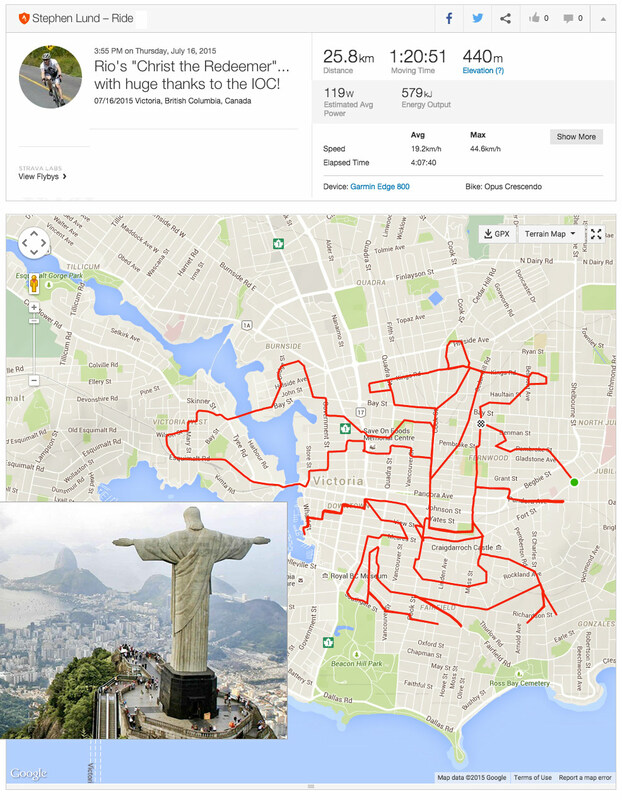 Strava is a popular GPS program used by runners and cyclists to track their workouts. 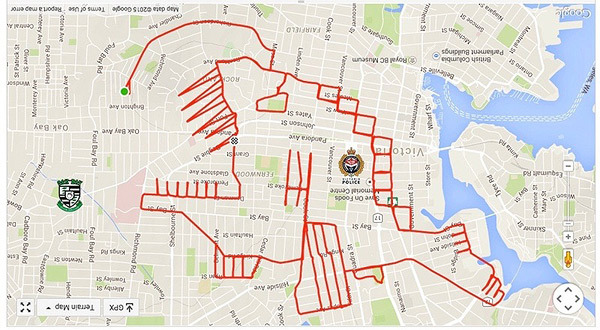 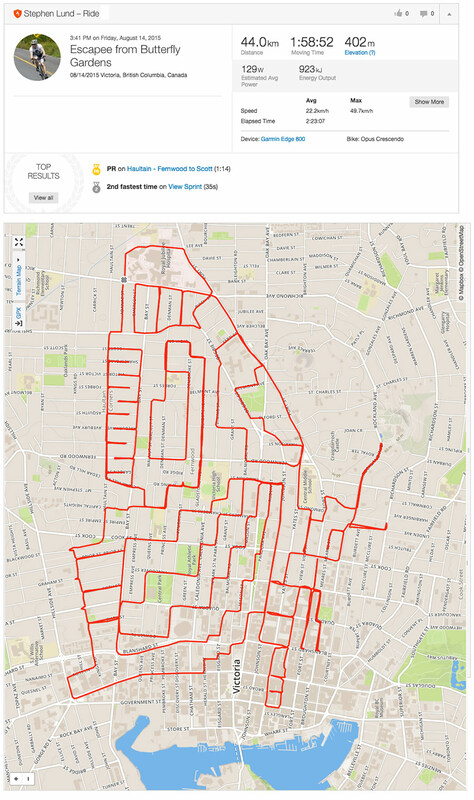 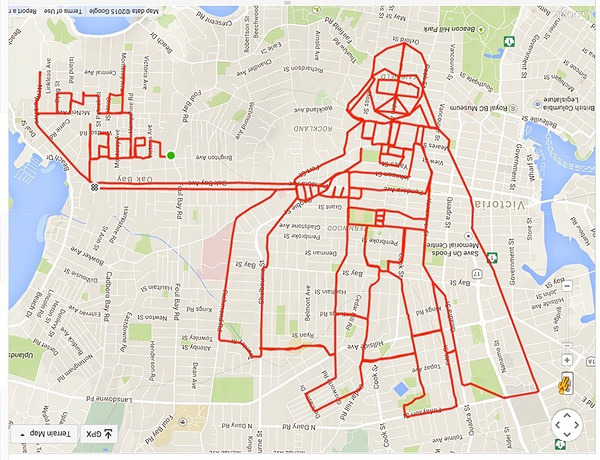 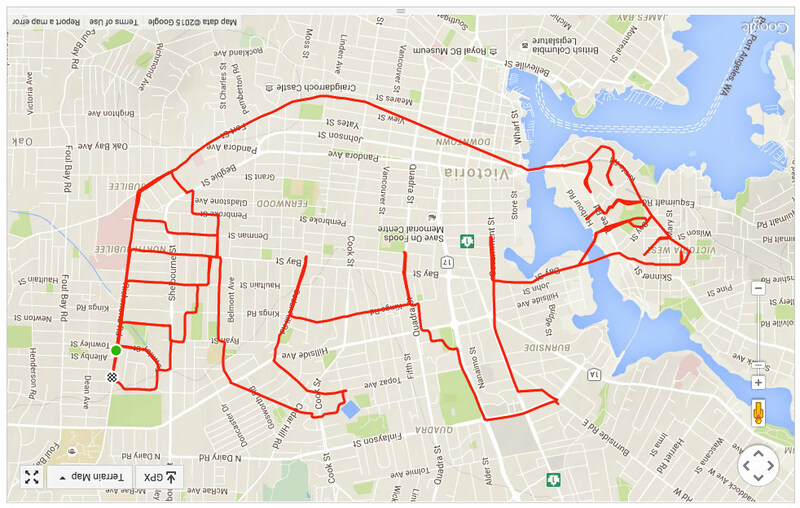 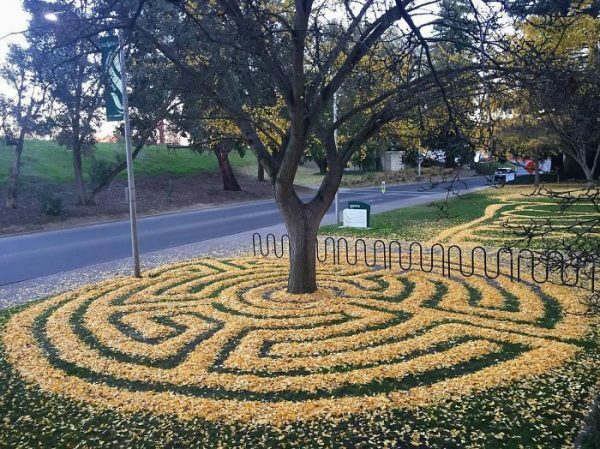 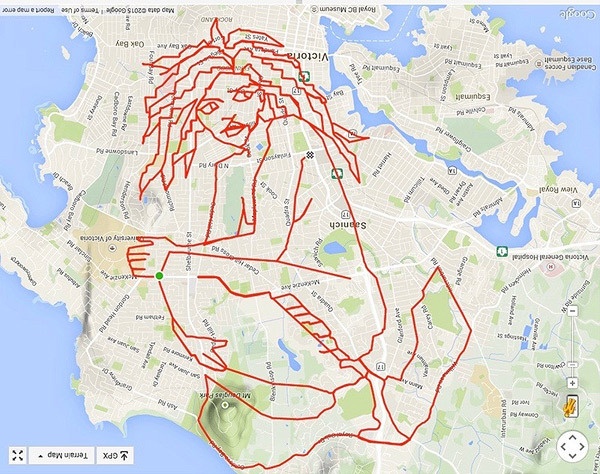 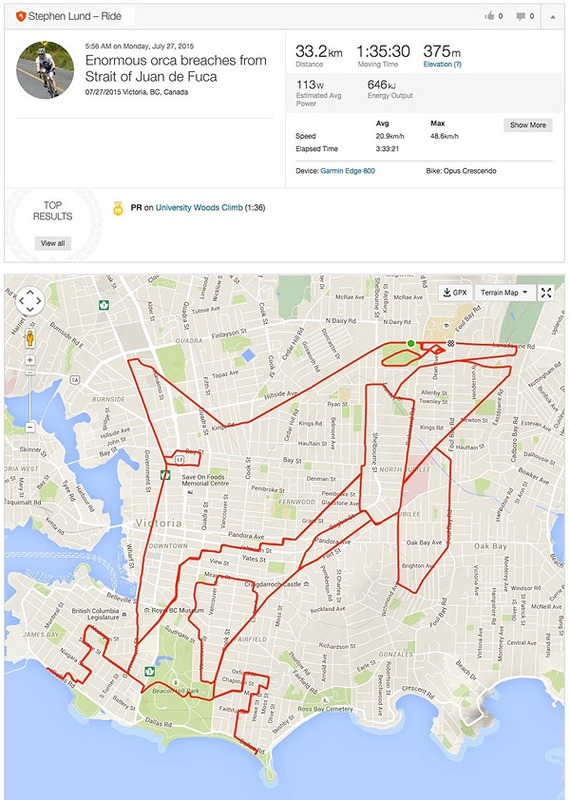 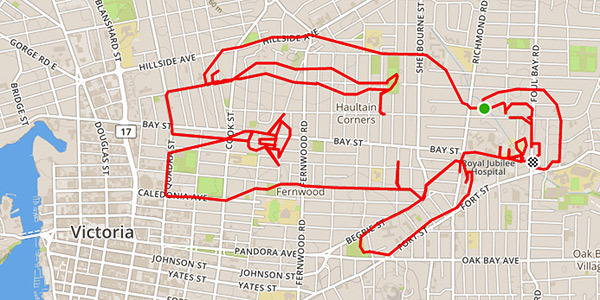 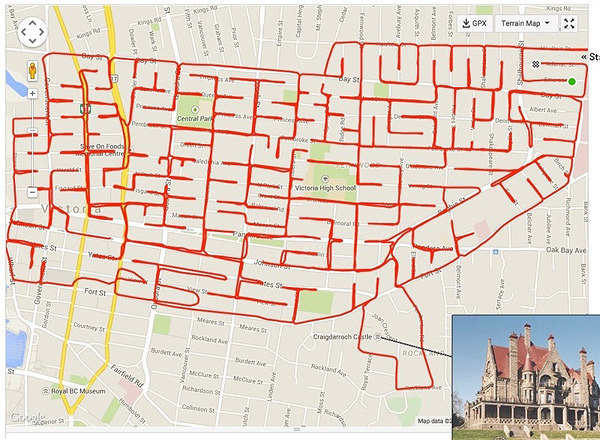 Victoria, British Columbia-based artist Stephen Lund uses the program to create these “GPS Doodles” instead. 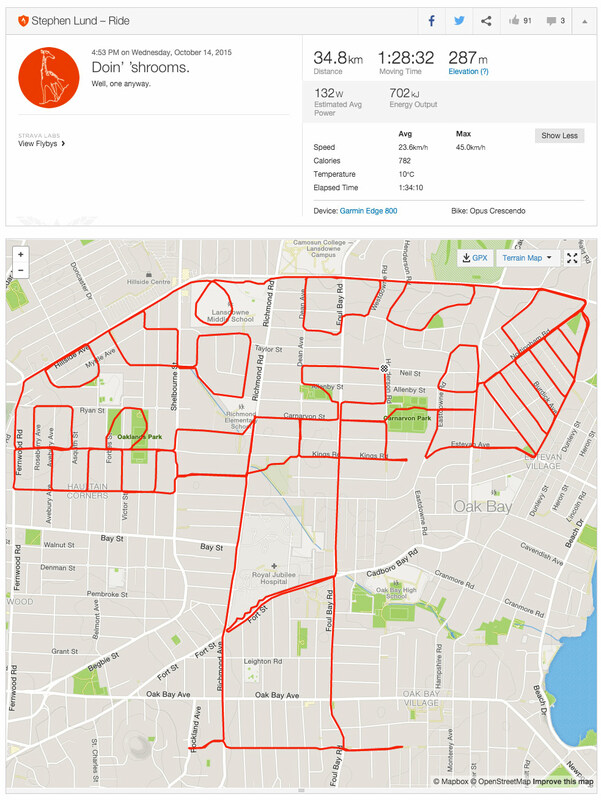 Pedalling an average of 70 kilometres in a single day for each design, Lund completed 70 doodles last year! 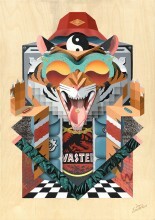 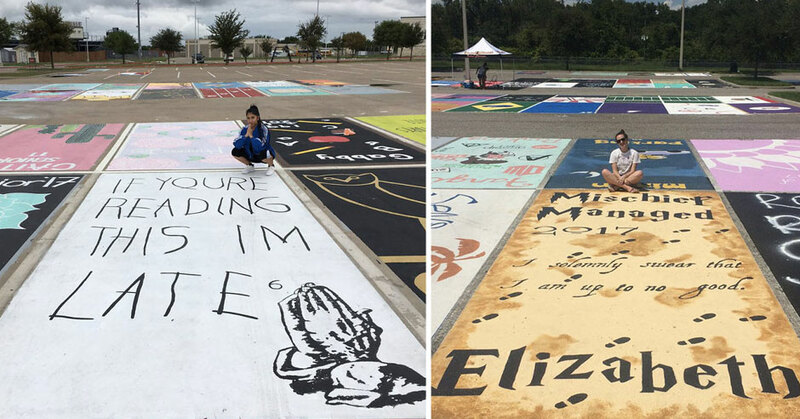 Check out a selection of his work below!